Situated in the middle of the eastern Adriatic coast, Split is blessed with a typical Mediterranean climate. Winters are mild and windy and summers long lasting, hot and humid. Temperatures of the sea are perfect for bathing almost throughout the entire warmer half of the year, never getting below the 21°C. Split is therefore ideal to visit in late spring or during the summer when all the local aromatic plants are blossoming, giving the air a beautiful summer aroma, and the sea looks especially inviting to try out its refreshing depths. 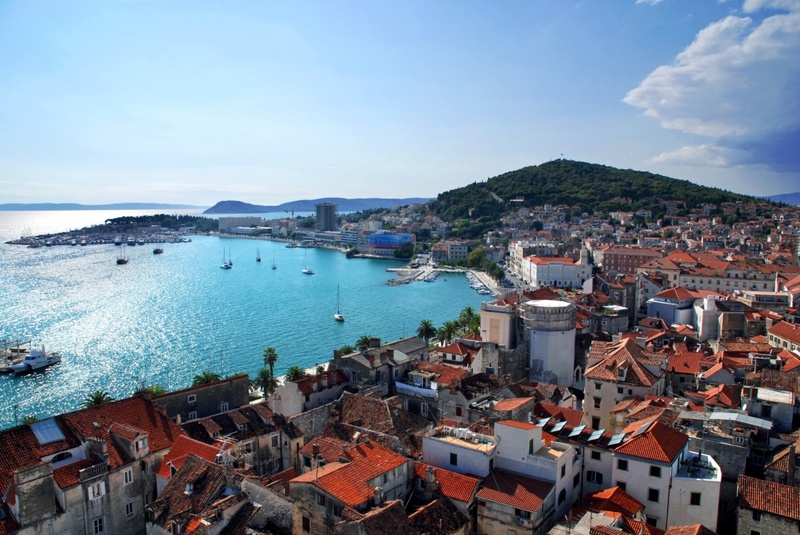 Split is rarely washed by the rain during the summer period; the sun is shining throughout most of the days, bringing pleasant, in some cases even very hot weather ideal for spending the day by the sea. The lowest average precipitation of 27.9 mm is usually measured in July. As in all coastal places, the summer afternoon brings relief in the form of a pleasant, light breeze locally known as Maestral. It announces a good weather for the next day. For the last couple of years July has been the warmest month of the year, when the approximate temperature rising up to 29.1°C. Of course, it often gets much hotter than that; it is therefore best to seek out refreshment in pleasant depths of the crystal blue sea on one of the numerous Split beaches. Temperatures of the sea water during the summer period ranges between 23 and 25°C. Although most of the visitors prefer coming to Split during the summer months, due to its mild climate, Split can be a pleasant tourist destination even during the autumn and winter months. The temperature rarely drops below zero and the snow is extremely rare occurrence. January is the coldest month of the year with the approximate temperature of 7.9°C. Autumn starts late in Split, sometimes as late as early November and is characterized by the cloudy and rainy days, while winters can be very windy and somewhat colder. Characteristic local winds, bura and jugo, are blowing throughout the colder part of the year.